What next after content marketing? (Way) back in 2008 I wrote a rather lengthy paper on the theory of social media. Interestingly, it has become the blogging equivalent of Pink Floyd’s Dark Side of the Moon in that it has hung around in my list of current popular posts ever since. Within this I suggested that the key assets for operating in the social media space were content, conversation and community. I also proposed that we were likely to move through these in sequence: content being the easiest thing to deal with, followed by conversation and ending up with community. Well – we certainly have embraced the content thing. So, if my theory holds – could the next big thing be conversation marketing? So I turned to Google Trends. What this showed (see blue line in the diagram above) is the extent to which content marketing has exploded over the last two years (albeit four years after I proposed it in my paper). Interestingly, this is plotted against Facebook marketing (green), which we can see peaked as a subject of interest in late 2011 and Facebook engagement (purple) which peaked a little later. We now talk more about content marketing than we do about Facebook engagement (at last). As an aside, the content marketing that brands are doing, doesn’t really correspond to the type of content marketing I envisaged. I was proposing an approach to content that was about creating a network of information threads within a brand’s relevant digital space, not simply ramming the channels with stuff. However, I think we will come around to my way of thinking in time – possibly as brands become more conversational, and thus more in tune with what content (information) consumers want, as distinct from the content brands want them to have. However, Google Trends didn’t really turn up any evidence to suggest that conversation or community might be the next things. In its (or my) defence, this is probably because we haven’t yet created ‘the word’ for what conversation or community based marketing might be. Key to the birth of any new thing is christening it with a name. So I guess we have to look elsewhere for evidence. Here I would return to the post I wrote a few week ago about Edleman’s Brandshare Report. Here we see very clear evidence that consumers want to have conversations with brands, albeit conversations that start with the issues consumers want a response to, rather than the issues brands might want to have conversations about. Content marketing, even when you do it right, is actually very easy. It doesn’t involve changing the model of marketing or actually involving the consumer too much. That is why I suggested content would be the first big thing to arrive (once brands had got over their initial obsession with Facebook and Twitter). Conversation marketing is harder because it involves seeding an element of control, if only in terms of letting the consumer decide what conversations they want to have. It involves changing the configuration of marketing resources with a shift towards investment in people and processes, rather than agencies and media. 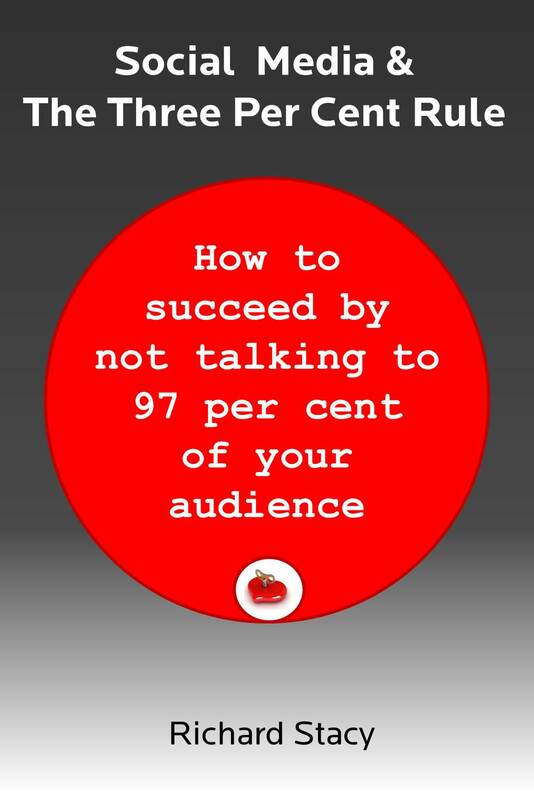 It also involves recognising that you can’t have a conversation with everyone all at once – and thus you only create positive ROI by extracting much higher value from a much more limited ‘reach’ (subject of the e-book I wrote last year). In fact it involves abandoning the idea of reach as a sensible metric altogether. It also corresponds to what I am calling the concept of ‘Hot Marketing’ – the creation of genuinely valuable (hot) relationships, albeit much fewer of them at any one moment in time than when were creating (cold) relationships with entire audiences. This additional level of difficulty is the reason I think it is going to be a couple of years before brands really get to the place where they understand how to create value from conversation. I also think brands will need to get over the current obsession with ‘brandfill’ content strategies before they will have the operational space to move onwards. I guess this puts the concept of community marketing back to at least five years’ out. This is a shame, especially since I have spent most of this year banging on about forms of community! However, effective communities involve creating a much greater level of shared interest and collaboration between brands and consumers than most marketing folk are prepared to countenance. In fact, we will probably only get to the community phase by reinventing the concept of marketing as we know it. Looking back at my 2008 piece, I am still pretty happy with its core conclusions. I would stand by everything I said within it and I think what I predicted is basically panning out – although perhaps not as quickly as I thought it might. But there again, I am aware that one of the features of any revolution is that one tends to overestimate its impact in the short term, but underestimate its impact in the long term. I would strongly recommend reading ‘Gutenberg the Geek’, a Kindle Single published a couple of days ago by Jeff Jarvis. He makes the critical connection between what happened around the invention of the printing press and what is happening in the social media revolution. He views this both through the similarities between Gutenberg’s life and experiences and those of the likes of Steve Jobs, but also the similarly revolutionary effects caused by both the introduction of print technology and social technology and the fact that we can now see ourselves as passing through the end of the Gutenberg era. Having been banging on for years about the importance of understanding Gutenberg in relation to social media – frequently to blank looks from marketing folk – the fact that Jeff Jarvis is now on the case makes me feel much comforted. It is a shame your blog does not allow comments, because that might be an easier place to have this conversation! I cannot disagree with anything you say in your reply – it is plausible support for how you might create a keiretsu cooperative. My issue, however, is not how one might do this, rather why one would do it – or rather why one would do it to create a “publishing and discussion site designed to attract the indie writers we call bloggers”. One of the consequences of the separation of information from distribution is that the information then tends to live in digital spaces rather than digital places. For example, you didn’t come to my blog (digital place) to find my piece on Gutenberg and the social media revolution – you found it “out there” in digital space. My article lives in a Google search (which is a space) much more than it lives in my blog and its visibility in this space is determined by how people have shared or distributed this article within their own digital spaces not by how many have come to my blog to find it. In reality, the concept of information living in, or being published by a “site” is dissolving as, indeed, is the idea that there is any collective interest (monetary or otherwise) in the act of publication. However, there is an emerging collective interest in the act of information sharing and thus there may well be relevance in the concept of a community (or site) to share information. Thus, my advice to you would be to take your work on creating a kieretsu coopoerative, which remains relevant, and apply it instead to the act of information sharing, rather than the act of information publication. There is no longer money to be made in publication, because publication costs nothing. Happy to continue the discussion. In the Gutenberg world information was created by acts of publication. In the post-Gutenberg world (i.e. world of social media) information is created by acts of observation. Don’t know whether this goes anywhere – but the idea of the act of observation being more than passive is not new. It sits at the heart of the Copenhagen Interpretation of quantam mechanics where the way in which you observe something will determine its state (Schrodigger’s cat and all that). Seems to accord with the emphasis on space rather than place – spotlight rather than stage sort of thing. More thinking required. Thanks to Antony Mayfield (@amayfield) for drawing my attention to a couple of recent articles. It has prompted me to finally post on something that has been lurking in the back of my mind for a year or more – this thing I call the sanctity of publication. Here is the full text of an article I wrote for the Capco Journal of Financial Transformation. Unfortunately the original is no longer available online – only as published by myself here on this blog. If you like this article you may want to take a look at what I have written here, which in the most part are pieces which expand on some of the themes outlined in the article below.